Which Financial Advisor Credentials Should You Look For? Hiring the right financial professional can be a little like looking for the perfect mate. You're entrusting this individual with something near and dear to you—your money. You obviously want to make sure that he has the expertise to handle the challenges and questions you'll have over the years. How can you know that he has what it takes? The first step involved in vetting a finance professional is understanding the designation after his name and knowing exactly what it means—it will tell you what sort of finance he's trained in. 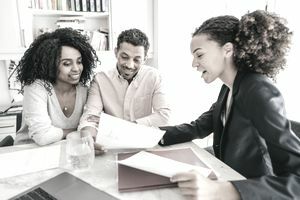 Look for a professional who has attained the CFP®—Certified Financial PlannerTM—designation if you're choosing a qualified financial advisor for your family. He must meet the CFP® Board's education, examination, experience, and ethics requirements to use this designation. The exam covers a broad scope of insurance, investment, tax, estate planning, and financial planning areas. Most of these professionals are experts in just one, however, and they use other professionals in their networks to handle matters that are beyond their capabilities. You can learn more about the CFP® designation from the CFP® Board of Standards. Another worthy designation is PFS. This is a financial advisor designation that Certified Public Accountants or CPAs can achieve. In fact, only CPAs can acquire the PFS designation. You might want to locate someone with this designation if you have advanced tax-planning needs along with financial planning needs. You can find a detailed comparison of these three designations by industry expert Michael Kitces at RICP vs. RMA vs CRC - Choosing the Best Retirement Income Designation for Financial Advisors. If you're looking to hire an investment advisor to manage a portfolio of individual stocks and bonds, find someone who has his CFA® designation. This designation stands for Chartered Financial Analyst and it means that he had to study for several years and demonstrate an in-depth knowledge of the securities industry by passing three different exam levels. Most of the top jobs in the mutual fund management world are held by people who have attained at least a CFA designation. If you're hiring an advisor to manage a portfolio of mutual funds or to select underlying advisors for different portions of your portfolio, consider someone who holds the CIMA certification. CIMA stands for Certified Investment Management Analyst®. This designation requires expert knowledge of statistics, finance, economics, specialty markets, portfolio theory, behavioral finance, and a focus on portfolio manager selection for building diversified portfolios. Depending on your specific insurance needs, you might not require someone who's achieved a mastery level of underwriting or an advanced understanding of why one insurance product is priced differently from another. But many planners use insurance as a means of risk transfer or tax planning, so it makes sense to understand the background of your insurance professional. Many of these professionals hold the Chartered Financial Consultant® or ChFC designation. A typical ChFC professional will spend nearly 400 hours to attain this mark and he must complete 30 hours of continuing education every two years to maintain it. The specialty areas of wealth transfer and comprehensive planning are emphasized with this designation. A financial advisor can acquire many, many other designations, but many of them don't require rigorous standards. They're just designed to help someone add letters behind his name. And always check your advisor's credentials and complaint record before you hire him. Are Financial Advisors Worth the Cost?